One of the best locations in the California Highlands as you look out onto the rolling hills and see wildlife grazing. Three full bedrooms plus Loft; the largest model available offers a custom kitchen with white cabinetry, under-cabinet lighting, new interior painting and stunning floors. Breakfast bar in addition to spacious dining room leads onto your private patio. Gardening is great in this super sunny patio location. No rear neighbor so you will enjoy the privacy. This newly renovated home has the new, trendy paint colors you're going to love, vaulted ceiling and ample windows allow the daylight to stream in. The Master Bedroom and Bath have been remodeled with an oversized custom shower, frameless door enclosure, dual vanity and beautiful new lighting. The open loft area allows an open office arrangement with a wall of cabinetry for storage. 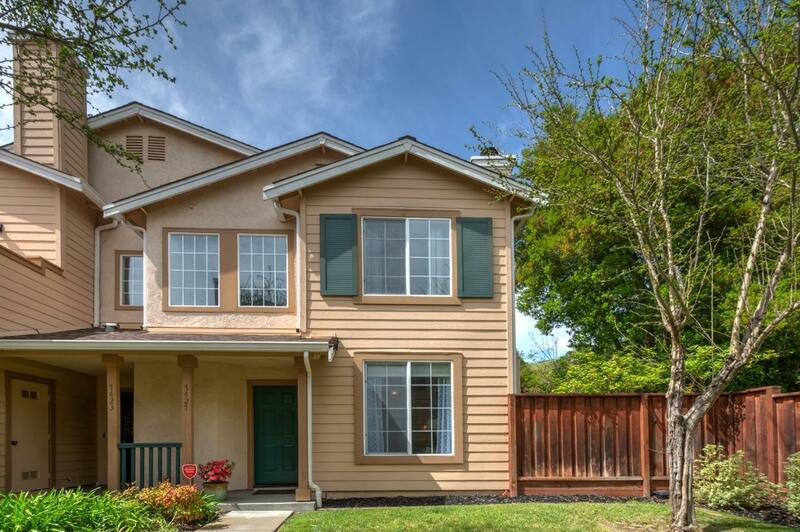 This is a tidy, well maintained home and complex that borders Dublin Hills Regional Park. Come spend your Summer by the Pool!